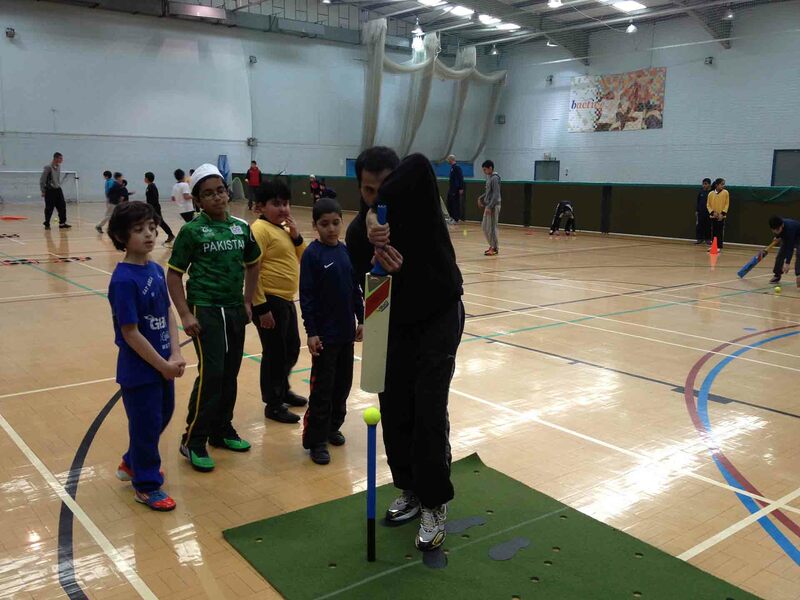 DEVELOPING THE NEXT GENERATION OF CRICKETERS! 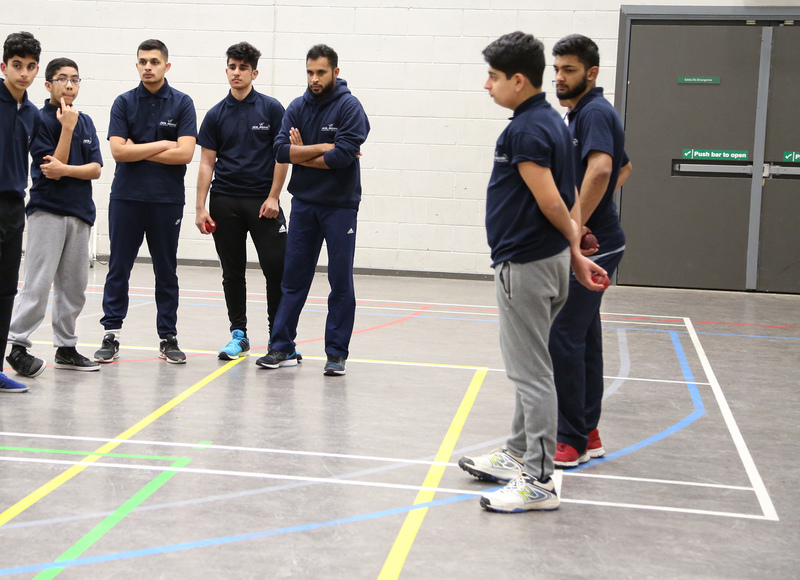 "It's time the talent in this City is discovered and developed, and I want to provide the platform and quality coaching to give young cricketers the same opportunities I had"
The Adil Rashid Cricket Academy is an amazing opportunity for cricketers of all ages to benefit from a World Class coaching programme delivered by Elite Coaches and current Professional Cricketers. 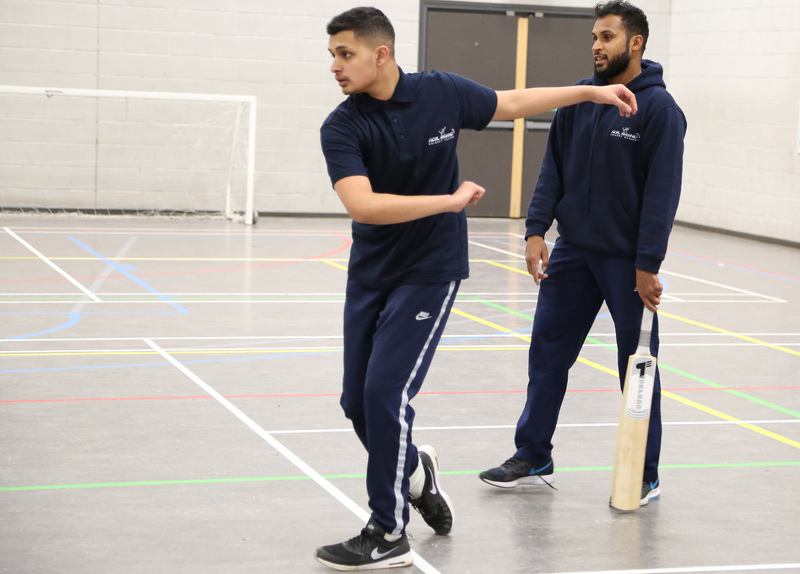 The Academy aims to improve the standard of cricket coaching delivered to young people with an emphasis on developing the stars of the future! 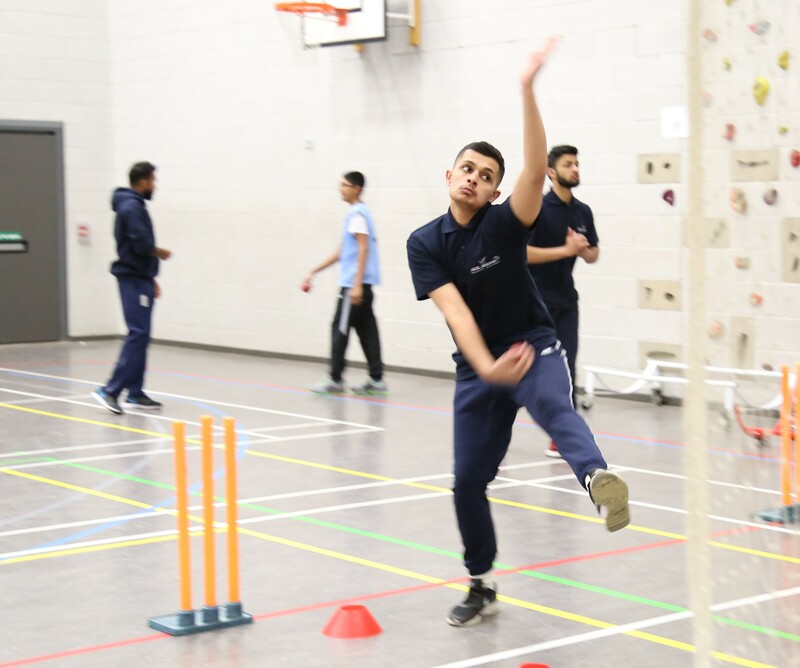 Using our Innovative and Targeted coaching strategies and a variety of coaching programmes, we guarantee to provide a fun filled cricket experience which will develop your technical skills, mental discipline, tactical awareness and enjoyment of the game! 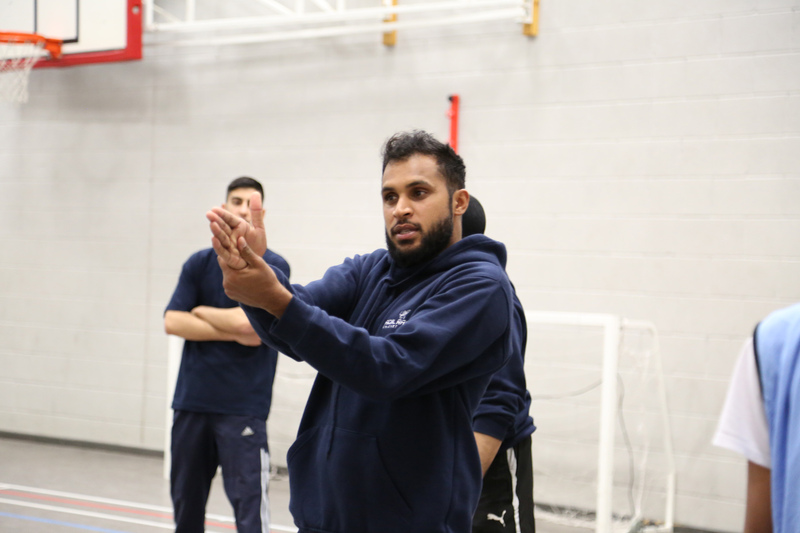 Whatever your age or ability, The Adil Rashid Cricket Academy is a fantastic opportunity to learn from professional and international cricketers as well as highly trained, top quality coaches. 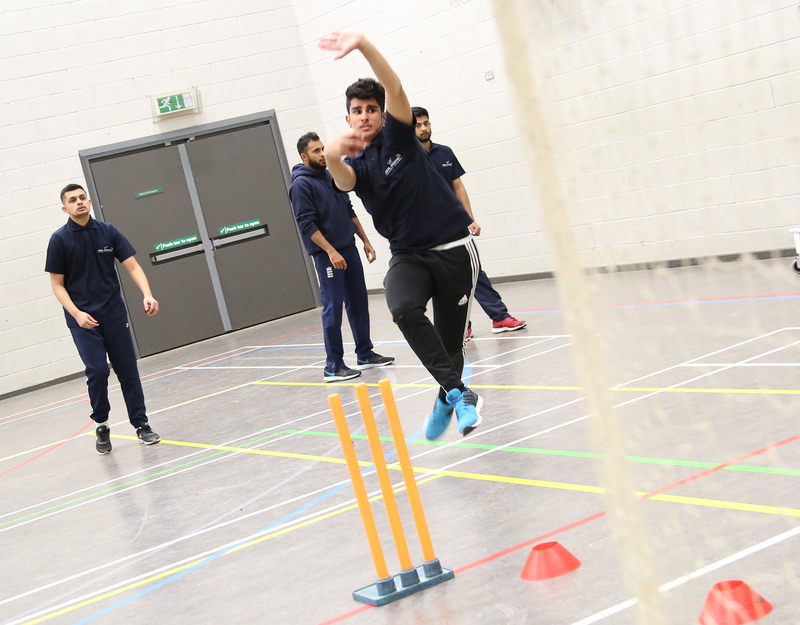 We aim to increase participation in cricket at all levels and inspire and provide a platform for players to fulfill their potential and perform at the highest level. 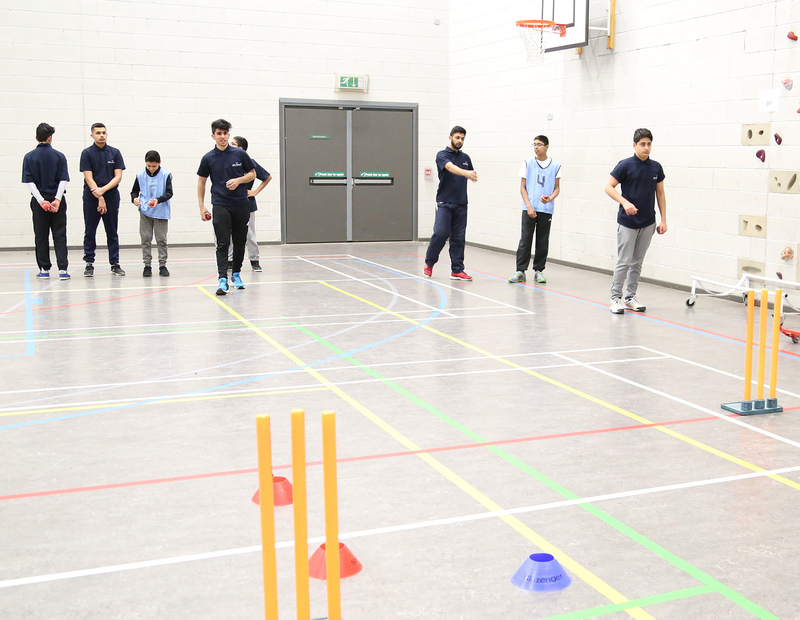 However, the ultimate goal is to find talented and aspiring cricketers and transform them into top quality district, county and international players. 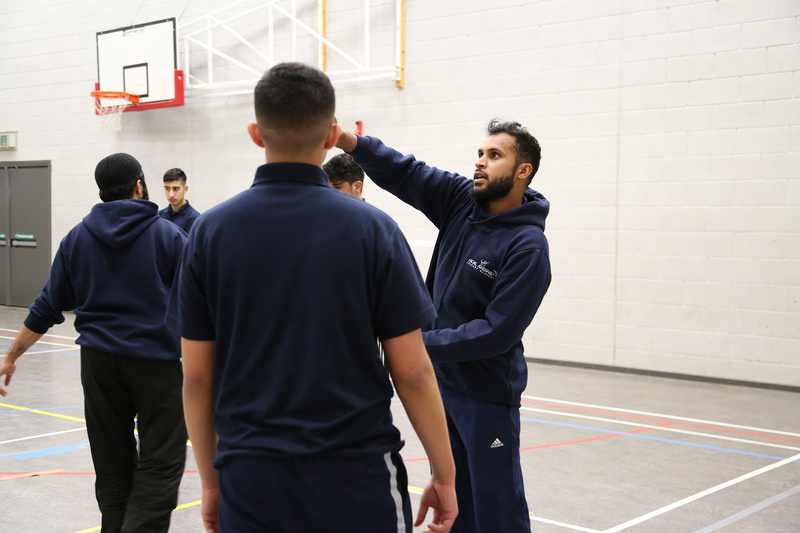 Starting in Adils home city of Bradford we aim to rapidly spread the academy and its innovative coaching strategy throughout the country. 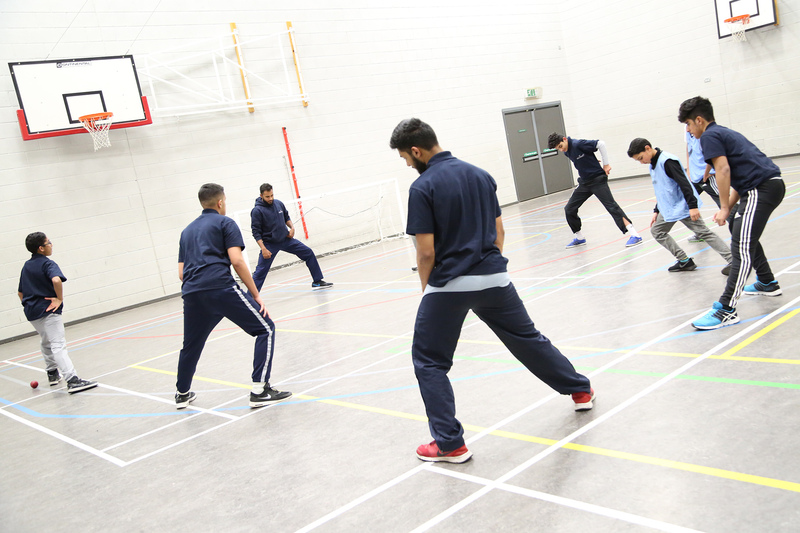 The Academy will give players the opportunity to benefit from drills and techniques taken from the International stage and usually used only at professional level. 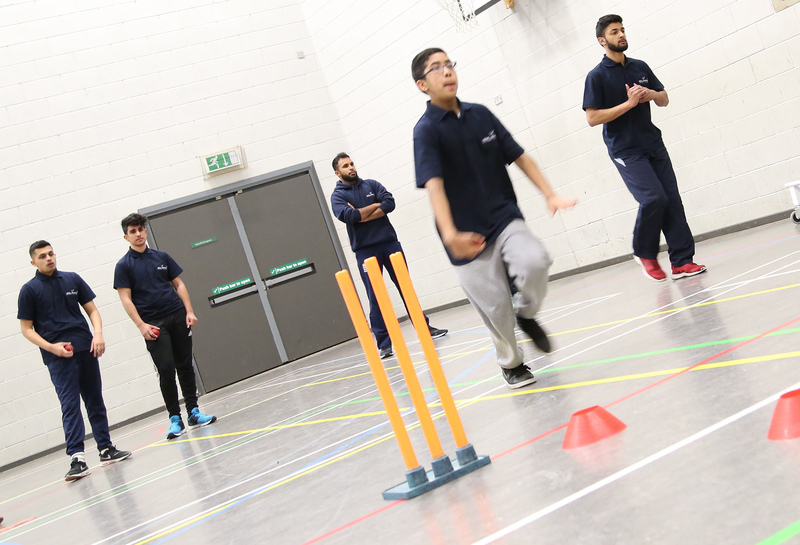 The Academy promises exciting times for Cricket Mad Bradford and looks to build, harness and expose the hidden talent in the city which is a hotbed for Sport. 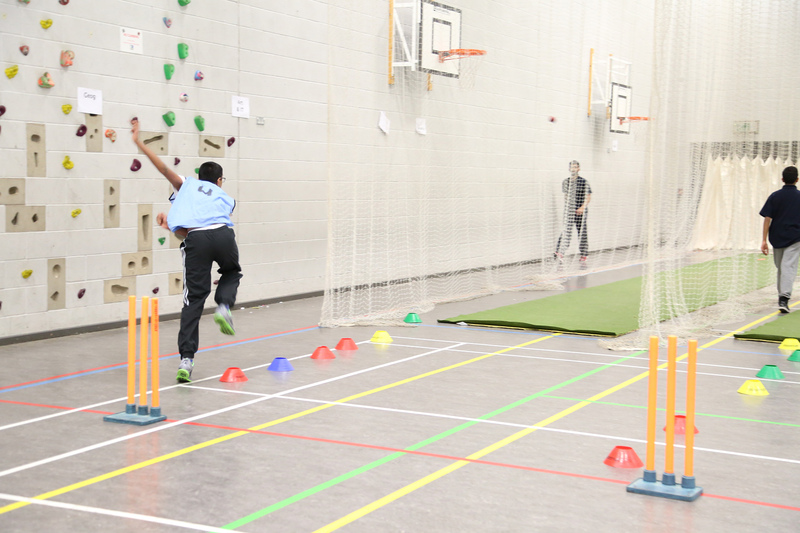 The perfect way for experienced players of all ages to develop their talent in a challenging and intense environment. 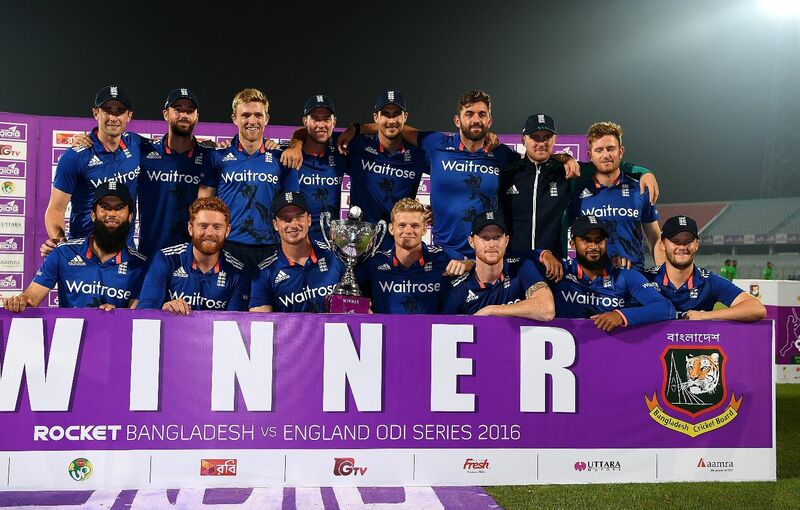 A great way to kick start your pre-season. 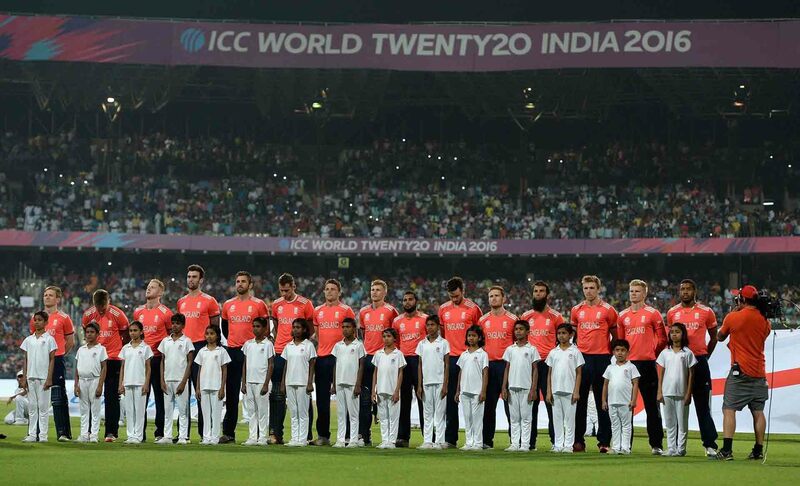 We live cricket and want to spread our passion for the game to as many people as we can. 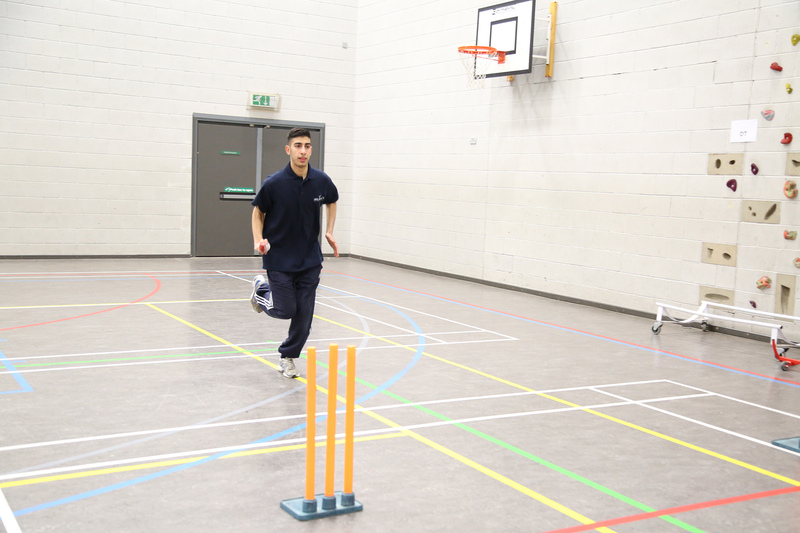 Ideal for those cricketers who would prefer the full attention of the coach and achieve maximum improvement. 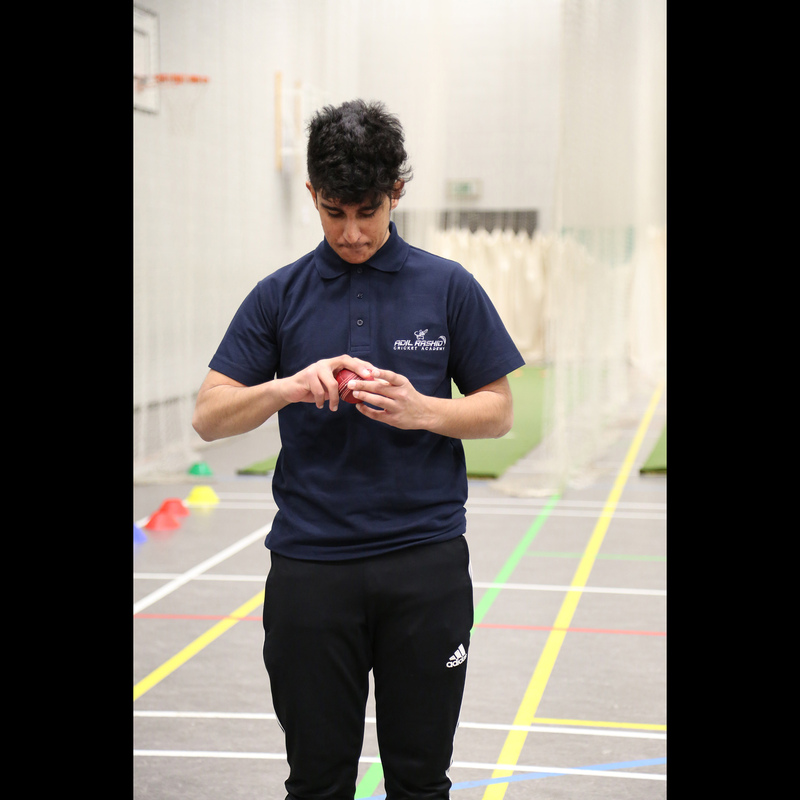 Calling all girls who would like to get back into cricket, try cricket for the first time, keep fit through cricket or continue playing! 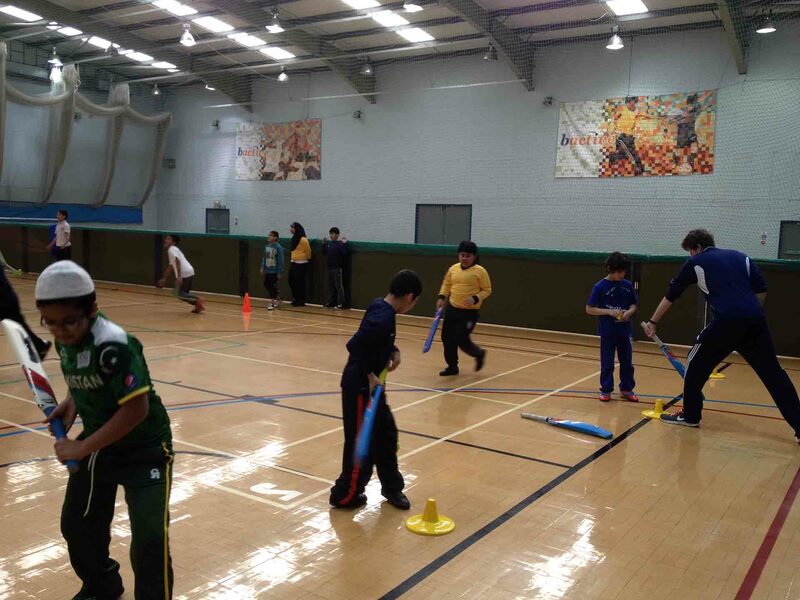 The perfect opportunity for the kids to take part & have some active fun. 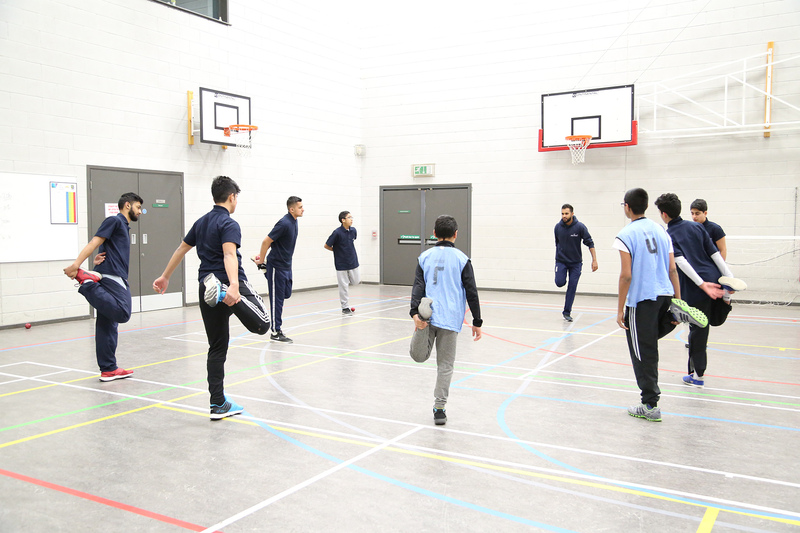 Young people need to take part in fun, active activities to benefit their long term health and fitness. 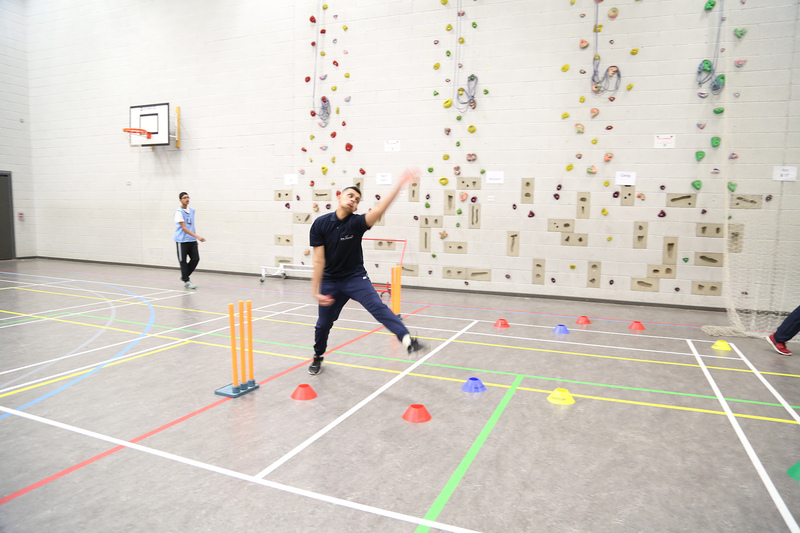 The perfect place for young cricketers to improve their skills, technique, confidence, and psychological ability. 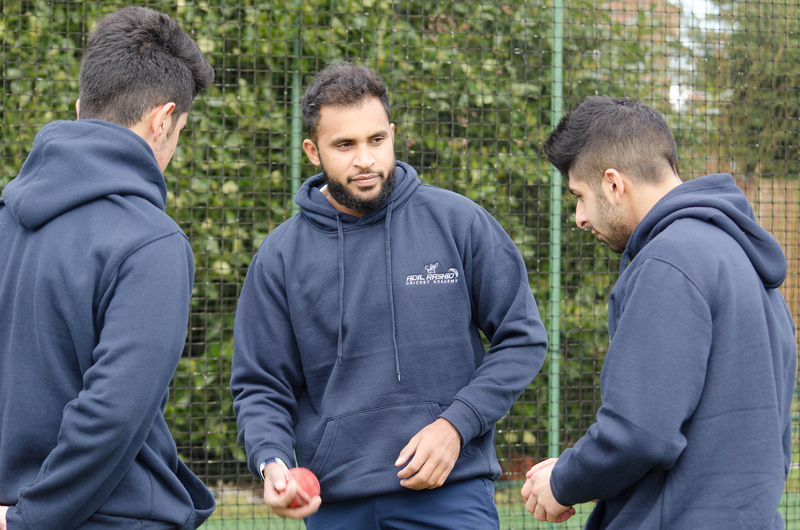 The Adil Rashid Academy has a fantastic team of Coaches, using a blend of Professional Cricketers and fully trained Level 2 & 3 Elite Coaches. 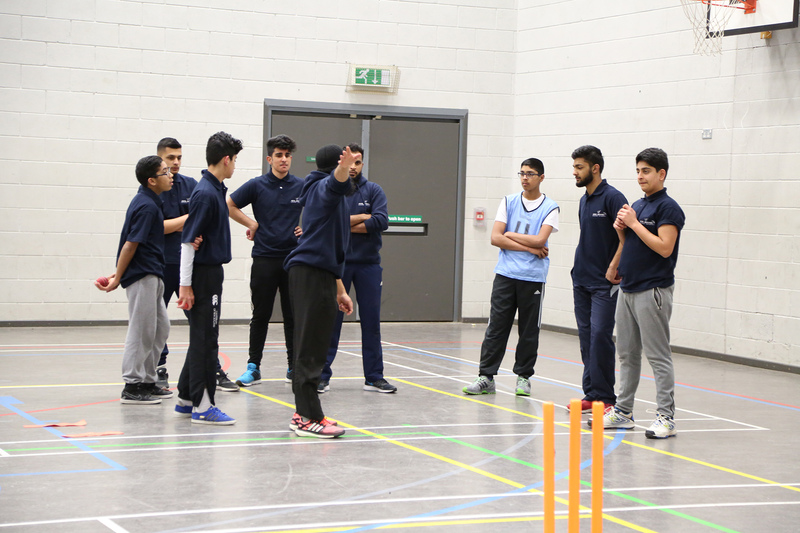 The coaches have used their varied experiences and knowledge, picked up from around the World, to develop the unique AR Academy cricket coaching programme. 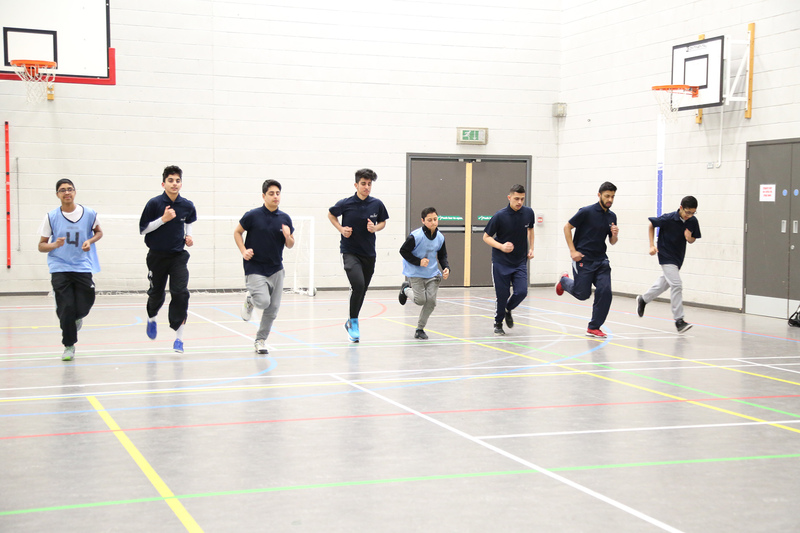 At the heart of our programme is putting the players first. 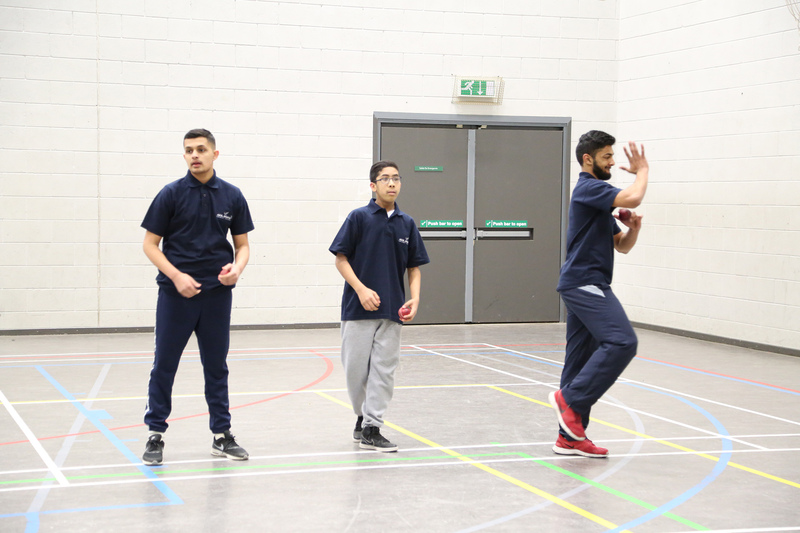 The coaches understand that every player is different, with unique strengths and weaknesses and we will work with you to develop an individually tailored training plan to get the best out of you. 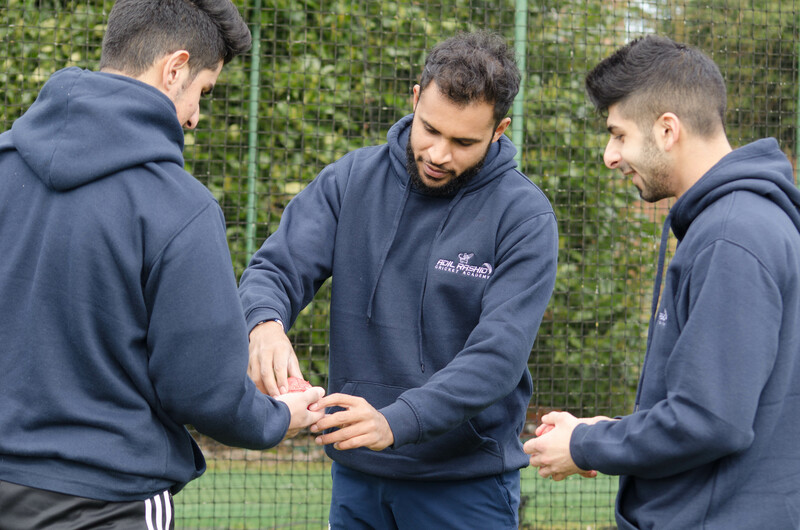 All coaches (subject to availability) are ECB trained Level 2 & 3 qualified, First Aid trained and CRB checked to give you the expert and professional service you deserve! 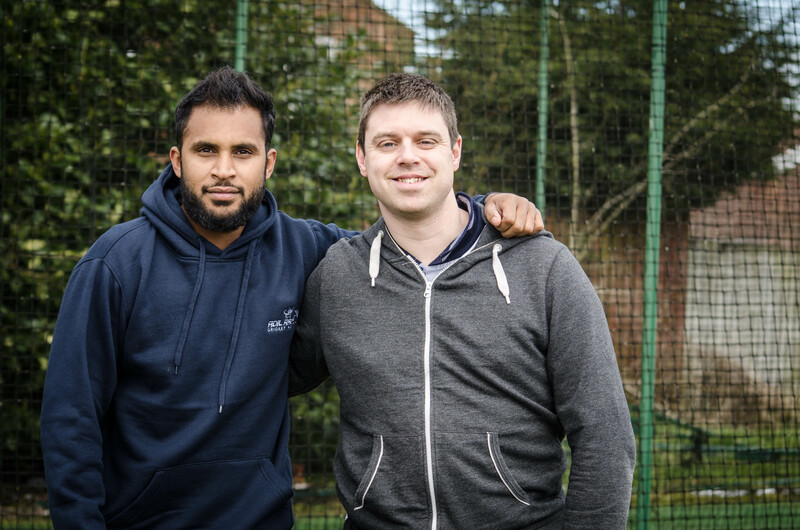 English international cricketer who plays county cricket for Yorkshire, founderof the Adil Rashid Cricket Academy. 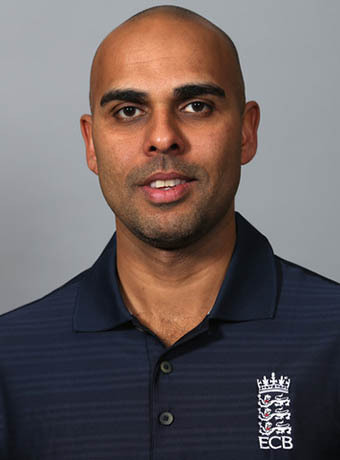 Former England internationl fast-medium bowler. 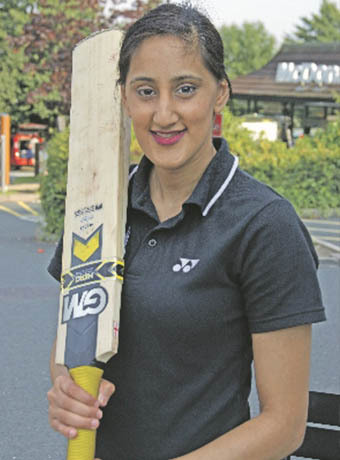 Moin Ashraf is an English first-class cricketer, who played for Yorkshire County Cricket Club. 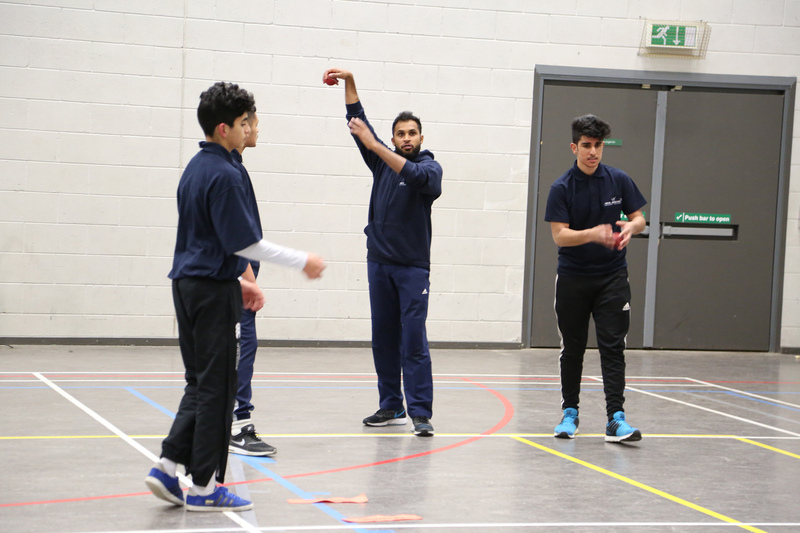 Ismail Dawood is a former professional first-class cricketer who played cricket for Yorkshire and is now an ECB level 3 coach. 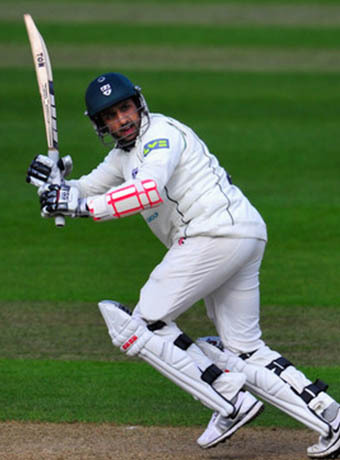 Shaaiq Choudhry is a professional first-class cricketer who played for Worcestershire County Cricket Club. 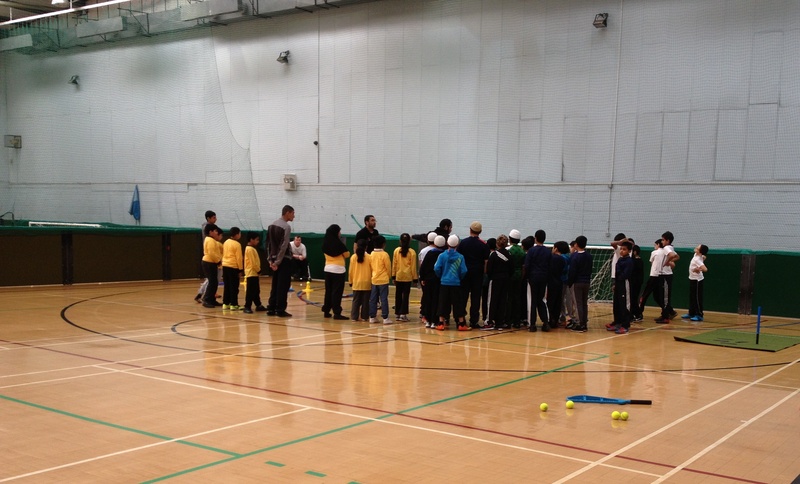 Halima delivers the girls session at the academy. 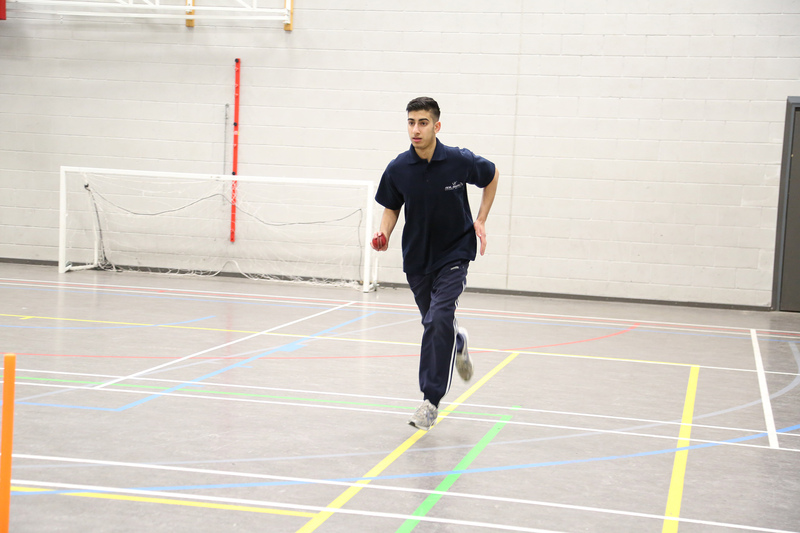 Usman Arshad is a professional first-class cricketer who plays for Durham County Cricket Club. 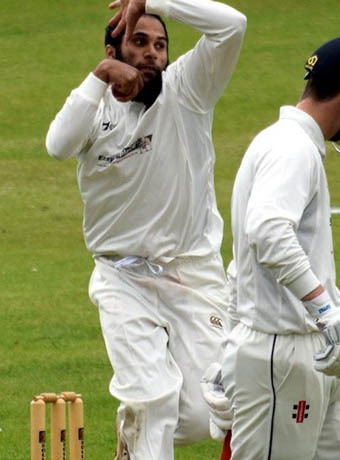 Gemaal Hussain is a professional first-class cricketer who played for Somerset and Gloucestershire County Cricket Clubs. 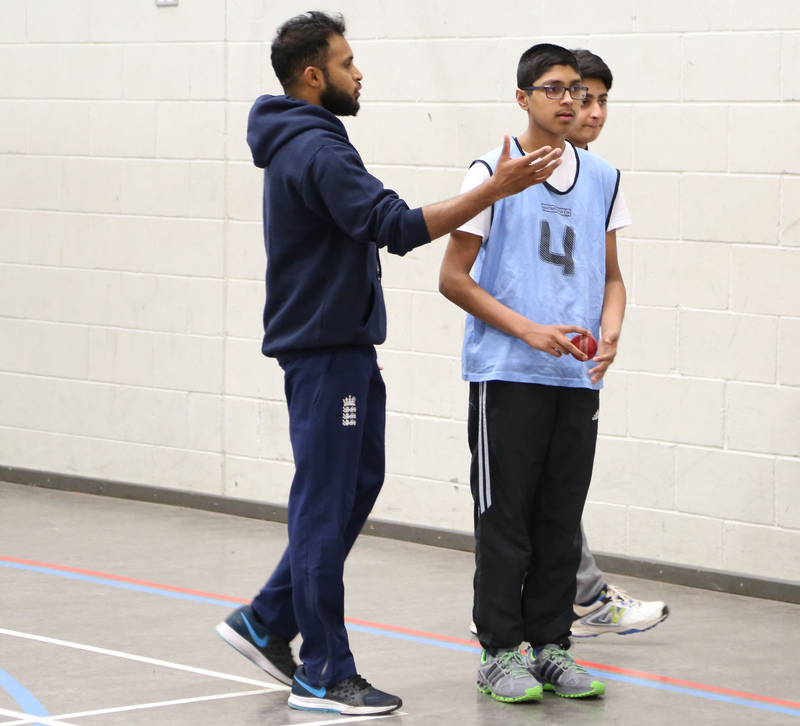 "I want to provide quality coaching, as well as a platform that allows young aspiring cricketers to succeed." 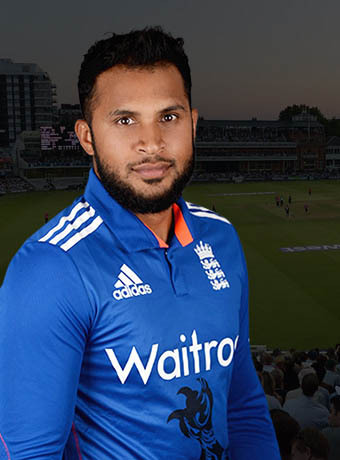 Adil Rashid is regarded as one of the most exciting all-rounder’s the country has to offer. 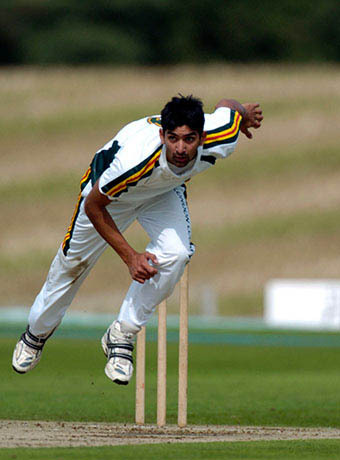 A leg-spinner and fine lower-order batsman, he became the first Yorkshire-born cricketer of Pakistani origin to play for the county in 2006. 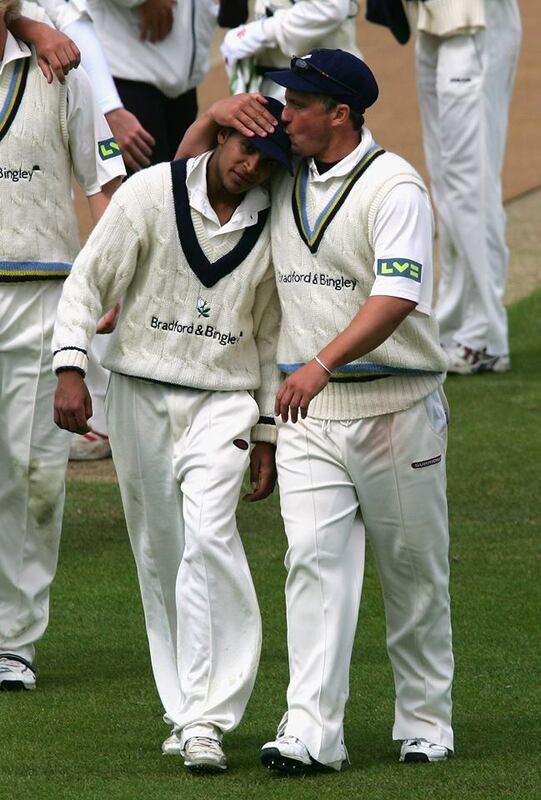 After making a significant impression, he then worked his way through the England Under-19s, Lions and Performance Programmes before making his senior debut at the 2009 World Twenty20. 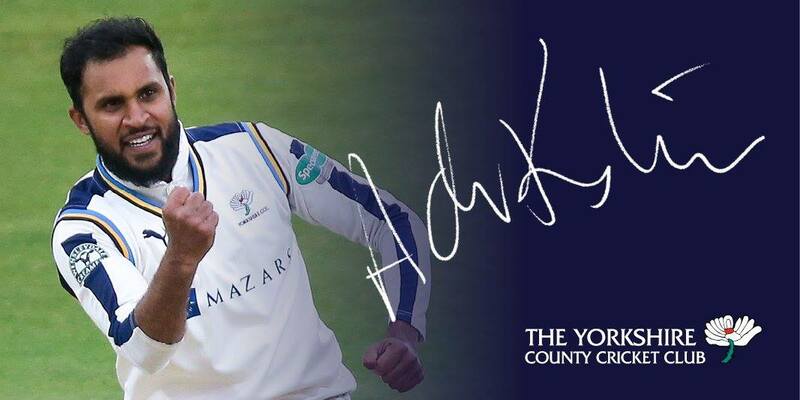 Since then he has established himself as Yorkshire’s number one spinner and a regular in the England ODI and T20 side, while also providing crucial runs down the order. 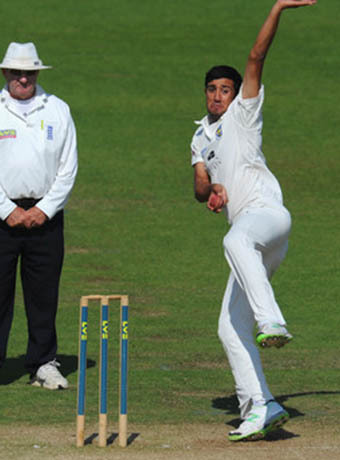 He took 81 wickets and scored over 800 runs in the summer as Yorkshire won the LV= County Championship and he earned himself a place on the England Performance Programme tour to Sri Lanka. 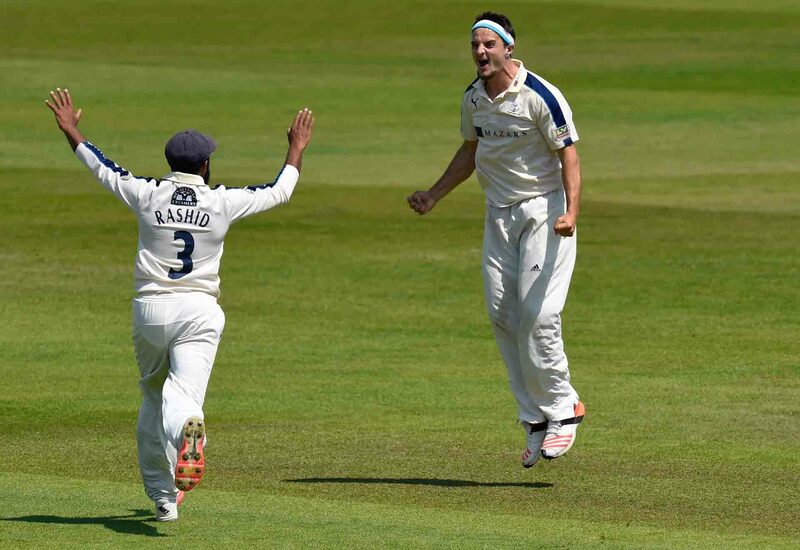 After a good summer on his England return in limited-over’s cricket, Rashid made his Test debut against Pakistan in the UAE and made an immediate impact with a five-wicket haul as Alastair Cook's men threatened an unlikely victory. 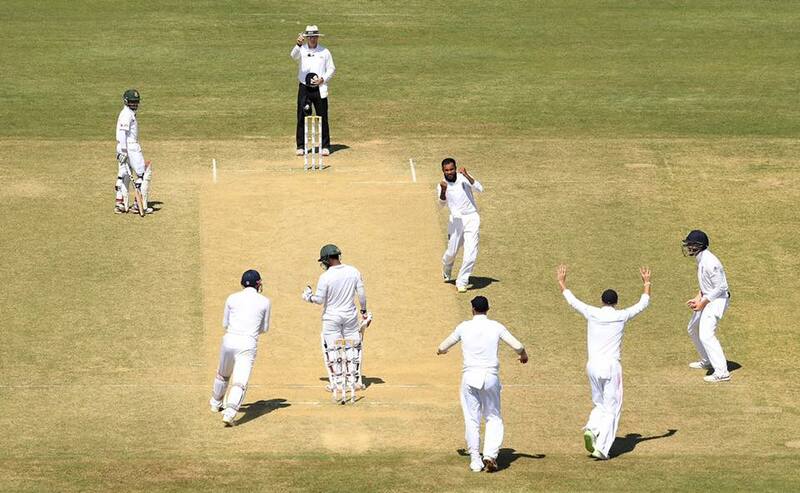 He followed that up with a maiden half-century which almost secured England a draw in the second Test. 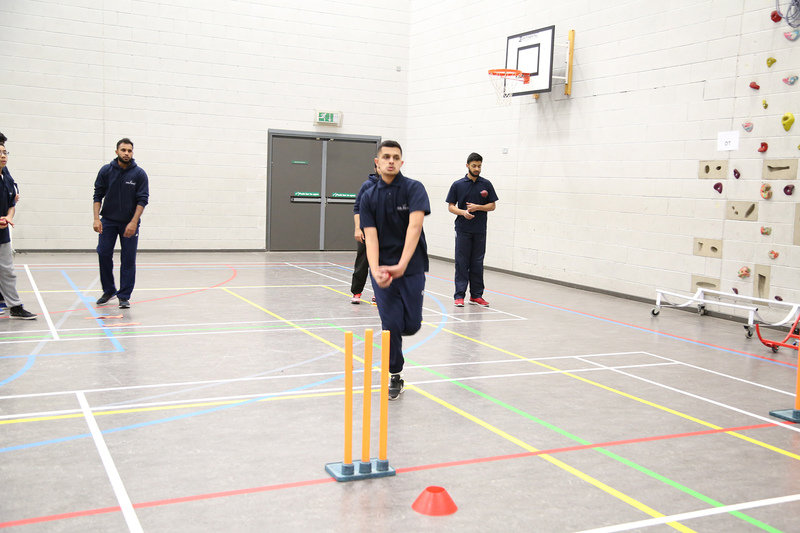 Our varied and expert courses promise to provide an exciting and enjoyable cricket learning experience for all players. 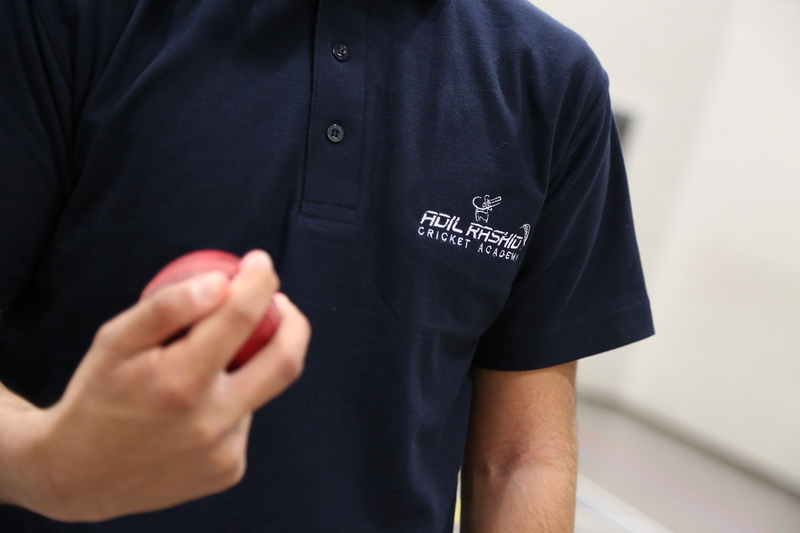 We are committed to working with all players to develop an individually tailored coaching strategy which works on your aims and your weaknesses. 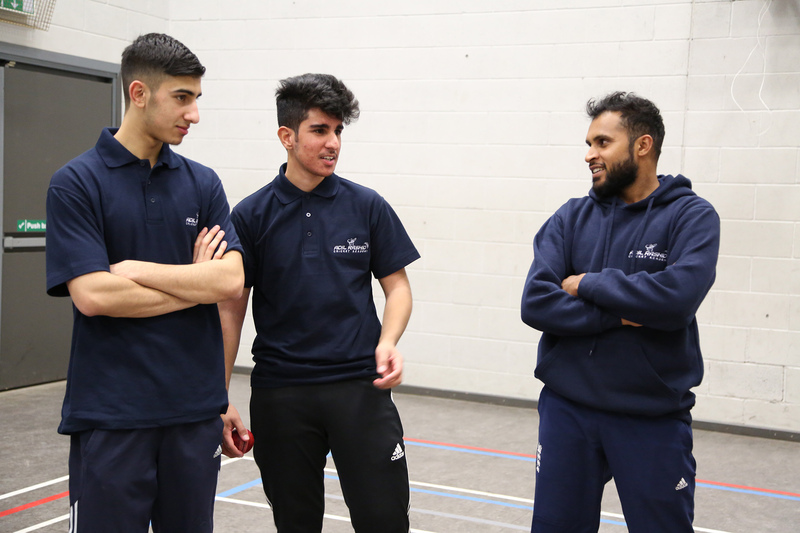 Our Elite Coaches and Professional Players are here to support your needs and provide the expert coaching and advice you need to achieve your potential and develop your game. PLEASE READ THESE TERMS AND CONDITIONS OF USE CAREFULLY BEFORE USING THIS THE ESSENTIAL ISLAM SHOPPING SITE. You can make a booking for our courses using our third party provider (PAYPAL) to which site you are redirected. We use a third party payment services provider to process payments. You may pay using any of the payment methods listed on our payment services provider's page after your order is transferred to their web site for payment. All bookings are checked with the relevant payment provider prior to dispatch, so please ensure that the details you provide us with are correct. We cannot accept responsibility for an order being held back as a result of incorrect or invalid payment details being given. All bookings are FINAL. 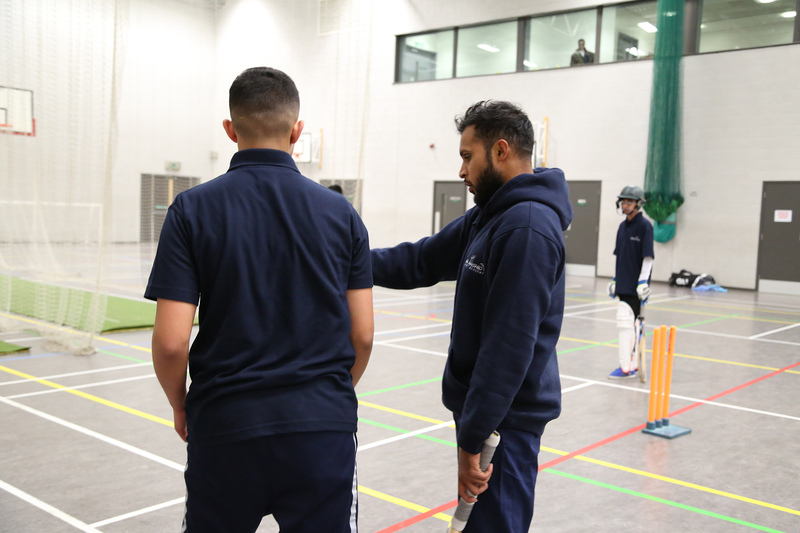 If you wish to cancel or re-arrange a booking, contact the Adil Rashid Cricket Academy within 7 days of your booking date at info@adilrashidacademy.com. 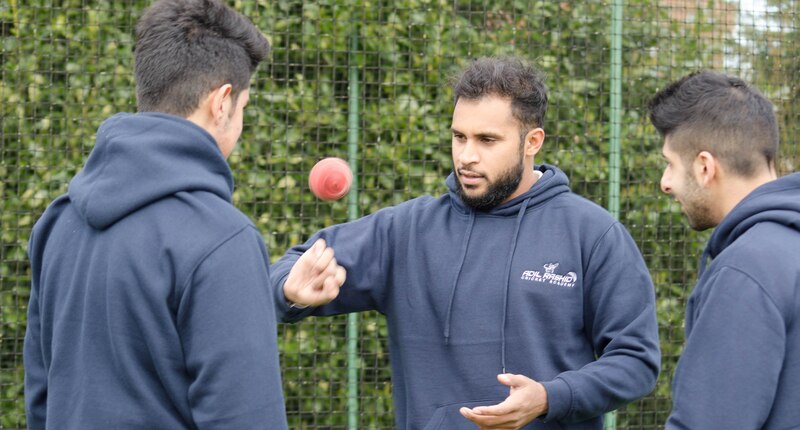 All materials contained in the Adil Rashid Cricket Academy Site are the copyrighted property of Adil Rashid Cricket Academy or its subsidiaries or affiliated companies and/or third party licensors. All trademarks, service marks, and trade names are proprietary to Essential Islam or its affiliates. 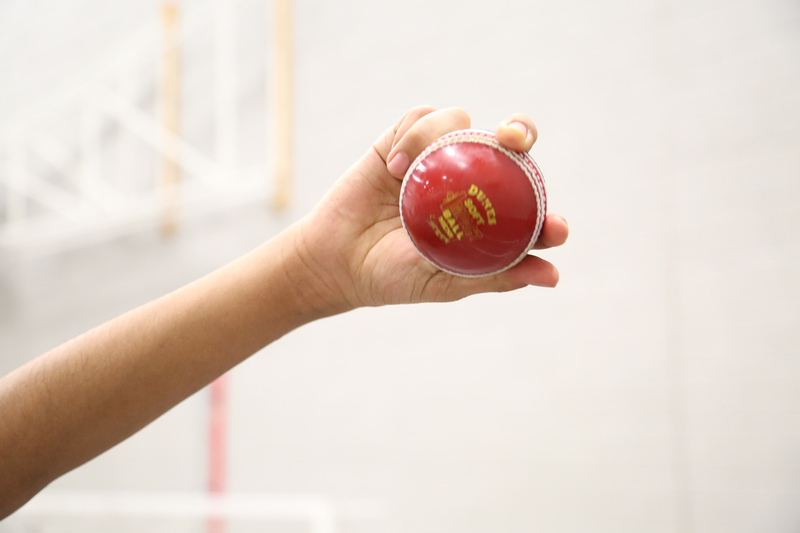 No material from any Adil Rashid Cricket Academy Site or any Internet site owned, operated, licensed, or controlled by us or our affiliates may be copied, reproduced, republished, uploaded, posted, transmitted, or distributed in any way. For purposes of these terms, the use of any such material on any other Web site or computer environment is prohibited. 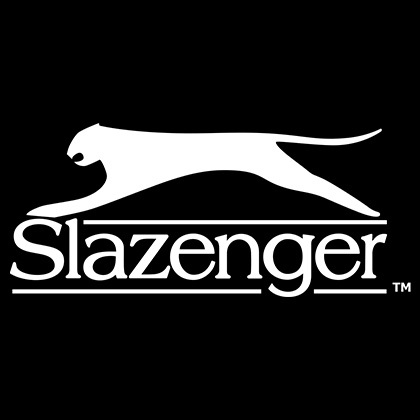 All trademarks, service marks, trade names and trade dress are proprietary to us. 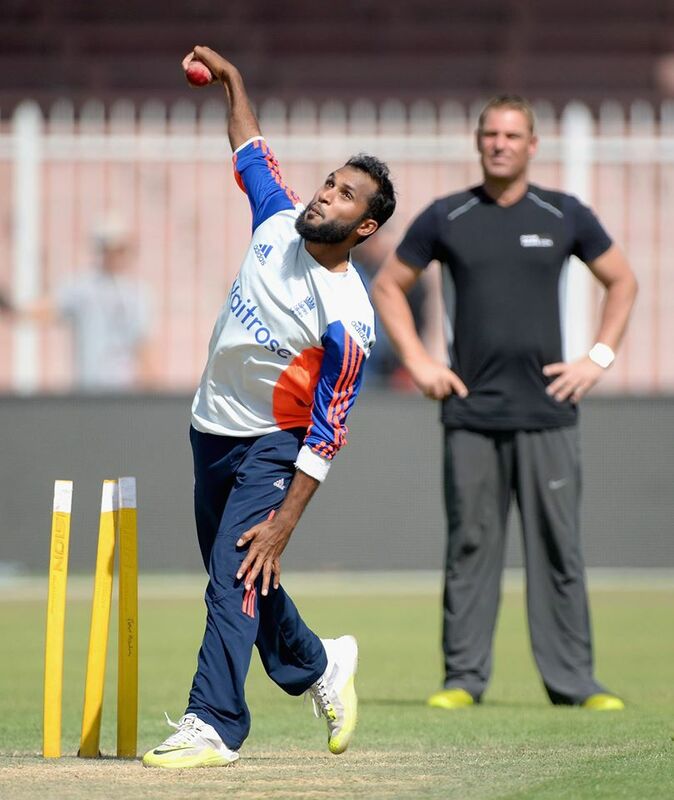 In the event you download software from the Adil Rashid Cricket Academy Site, the software, including any files, images incorporated in or generated by the software, and data accompanying the software (collectively, the "Software") are licensed to you by us or third party licensors for your personal, non-commercial home use only. We do not transfer title to the Software to you. You own the medium on which the Software is recorded, but we (or third party licensors) retain full and complete title to the Software and all intellectual property rights therein. You may not redistribute, sell, de-compile, reverse engineer, disassemble, or otherwise reduce the Software to a human-readable form. 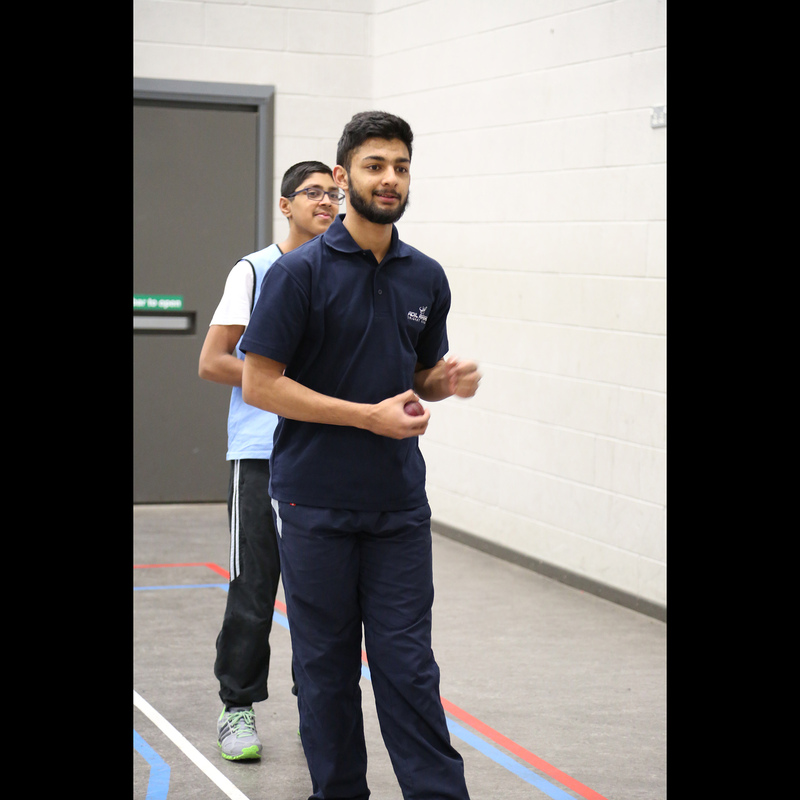 Please exercise discretion while browsing the Internet using the Adil Rashid Cricket Academy Site. 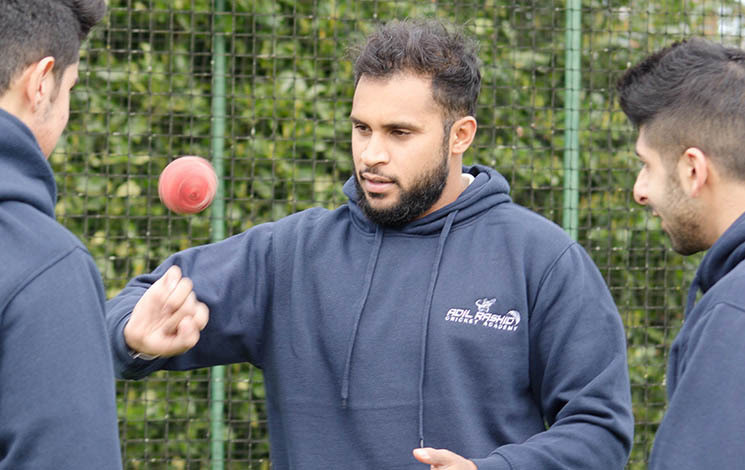 You should be aware that when you are on an Adil Rashid Cricket Academy Site, you could be directed to other sites that are beyond our control. 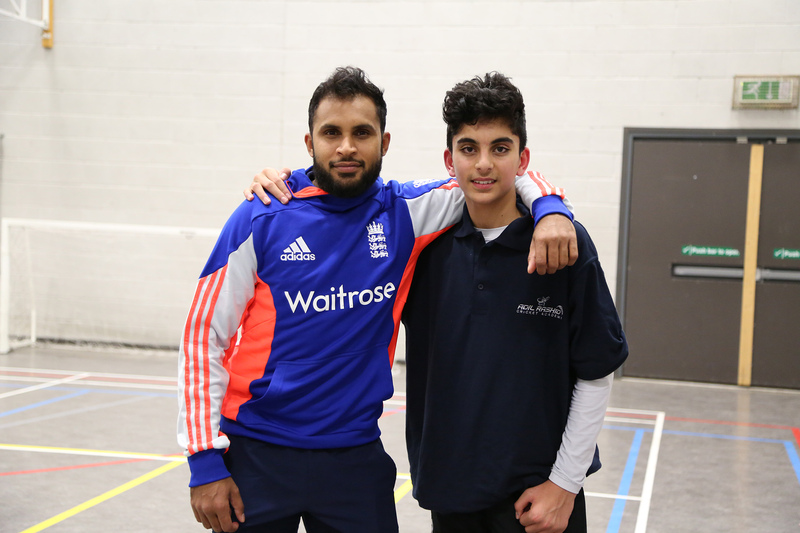 There are links to other sites from Adil Rashid Cricket Academy site pages that take you outside of our service. 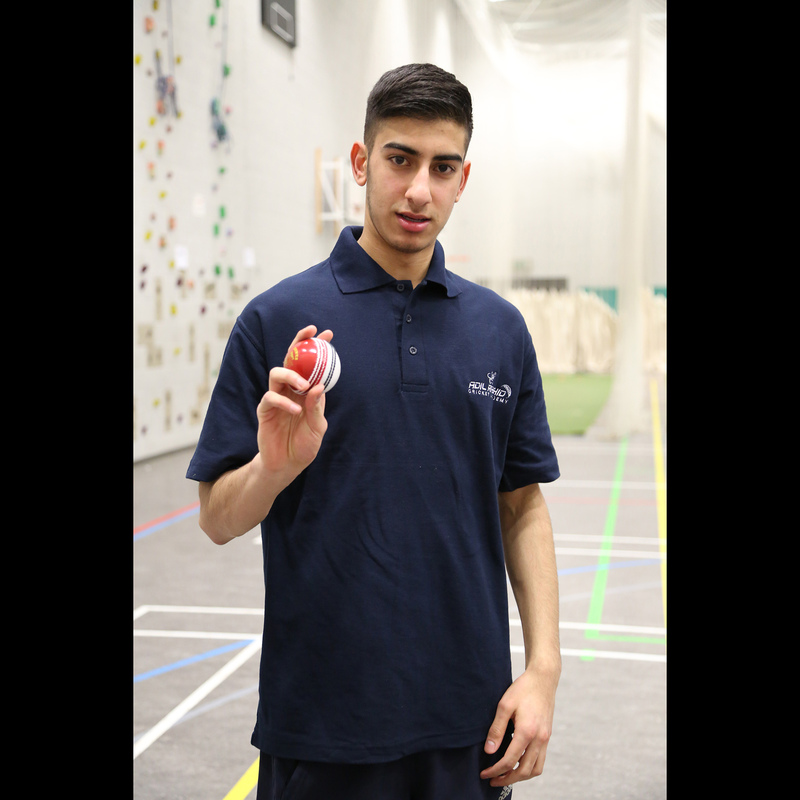 For example, if you "click" on a banner advertisement or a search result, the "click" may take you off the Adil Rashid Cricket Academy Site. This includes links from advertisers, sponsors, and content partners that may use our logo(s) as part of a co-branding agreement. These other sites may send their own cookies to users, collect data, solicit personal information, or contain information that you may find inappropriate or offensive. 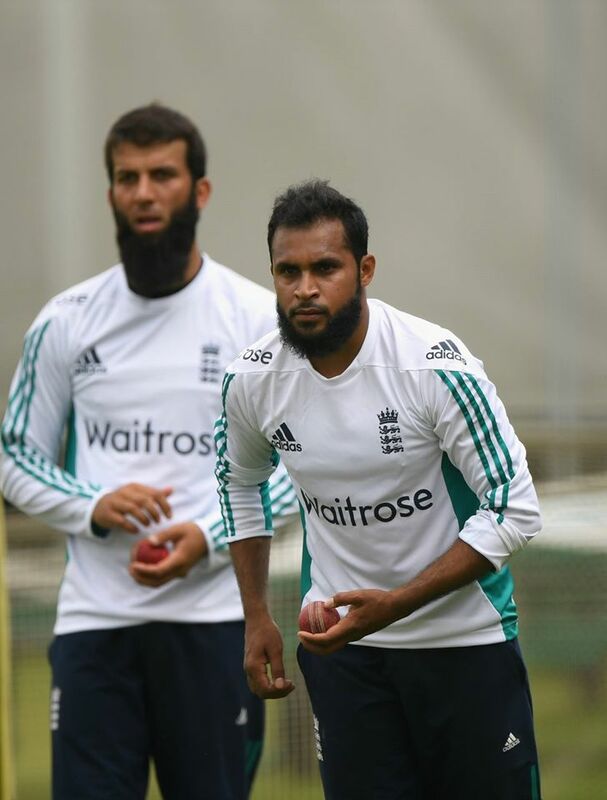 In addition, advertisers on Adil Rashid Cricket Academy Sites may send cookies to users that we do not control. 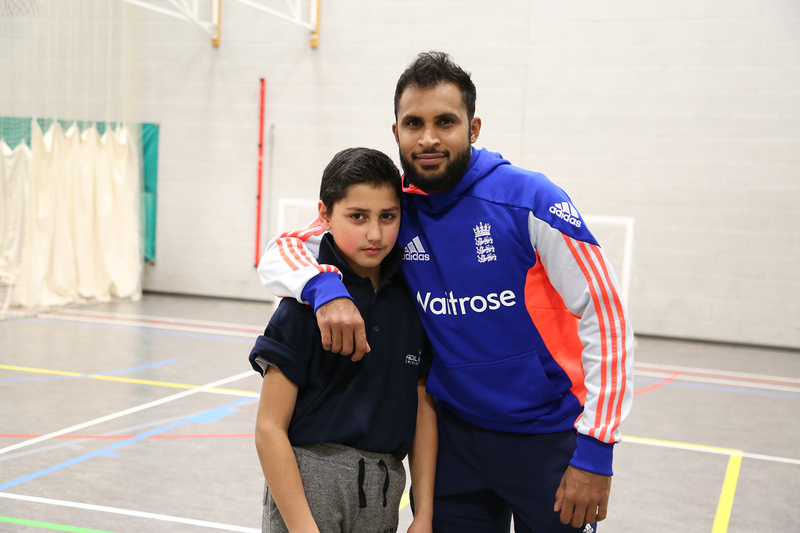 We reserve the right to disable links from third party sites to any Adil Rashid Cricket Academy Site. We make no representations concerning the content of sites listed in any of our directories. 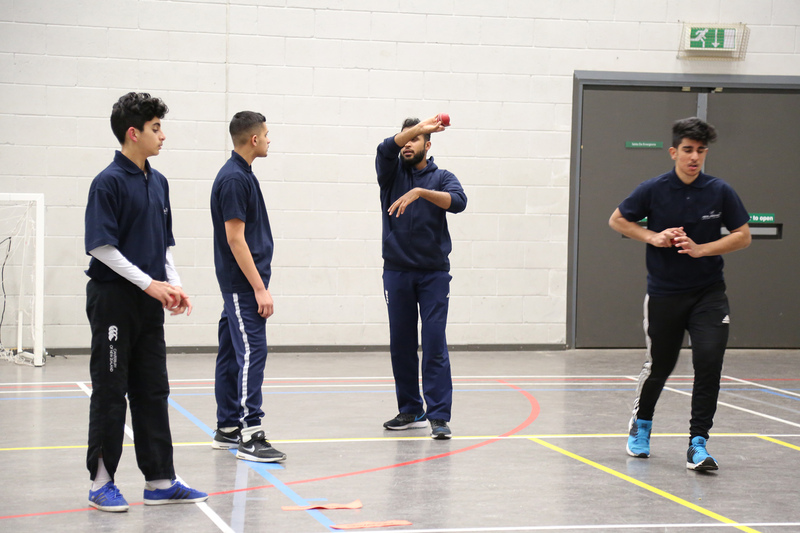 Consequently, we cannot be held responsible for the accuracy, relevancy, copyright compliance, legality or decency of material contained in sites listed in our search results or otherwise linked to an Adil Rashid Cricket Academy Site. Please keep in mind that whenever you give out personal information online --- for example, via message boards or chat --- that information can be collected and used by people you don't know. 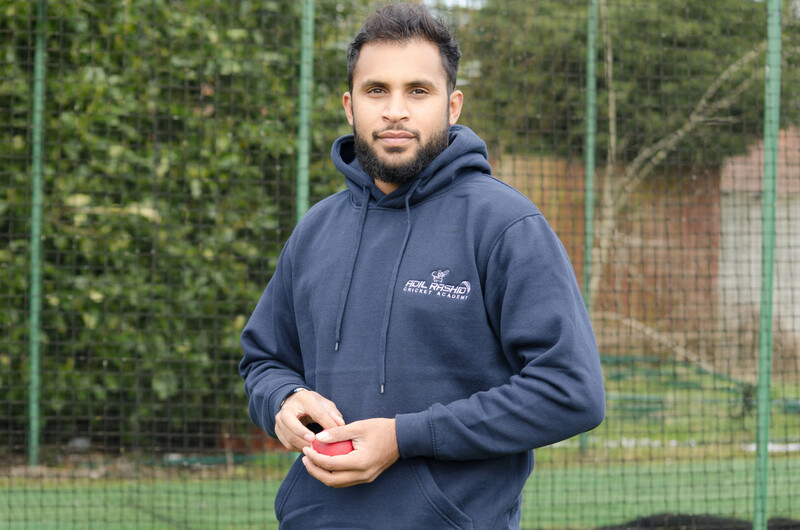 While Adil Rashid Cricket Academy strives to protect your personal information and privacy, we cannot guarantee the security of any information you disclose online; you make such disclosures at your own risk. 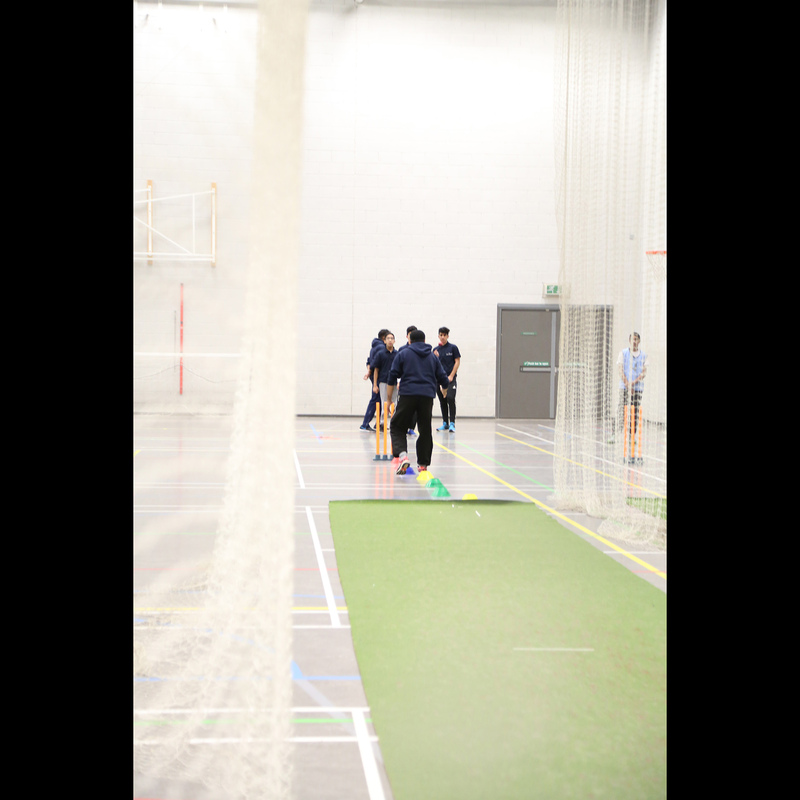 The materials in this Adil Rashid Cricket Academy site are provided "as is" and without warranties of any kind either express or implied. to the fullest extent permissible pursuant to applicable law, we disclaim all warranties, express or implied, including, but not limited to, implied warranties of merchantability and fitness for a particular purpose. 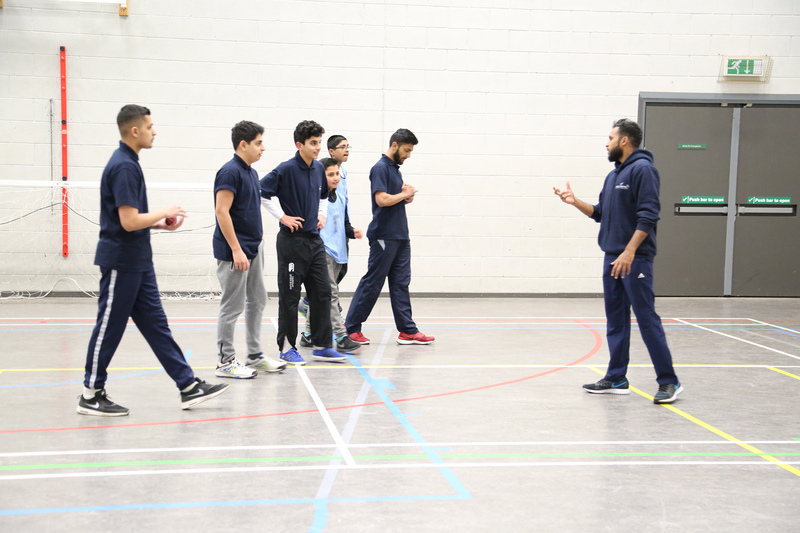 we do not warrant that the functions contained in the materials on any Adil Rashid Cricket Academy site will be uninterrupted or error-free, that defects will be corrected, or that any the Adil Rashid Cricket Academy site or the servers that make such materials available are free of viruses or other harmful components. 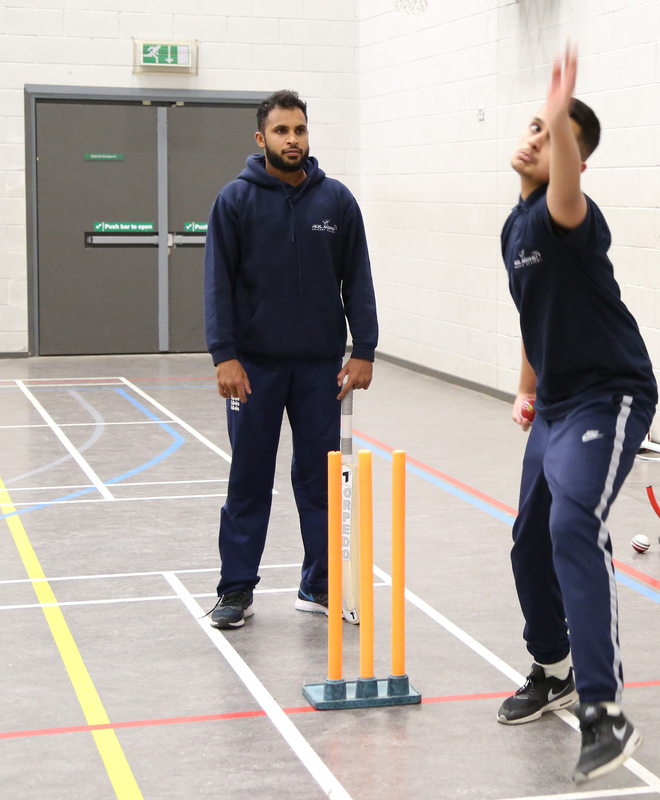 we do not warrant or make any representations regarding the use or the results of the use of the materials on any Adil Rashid Cricket Academy site in terms of their correctness, accuracy, reliability, or otherwise. you assume the entire cost of all necessary servicing, repair, or correction. applicable law may not allow the exclusion of implied warranties, so the above exclusion may not apply to you. 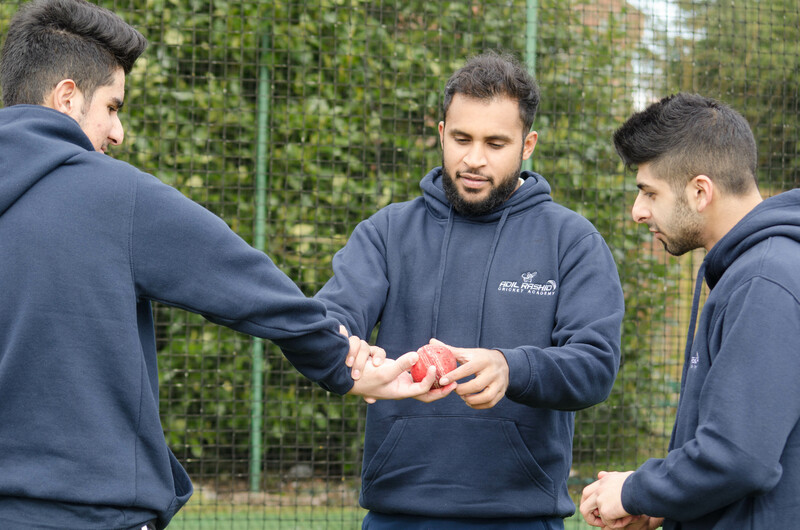 We explicitly disclaim any responsibility for the accuracy, content, or availability of information found on sites that link to or from any Adil Rashid Cricket Academy Site. 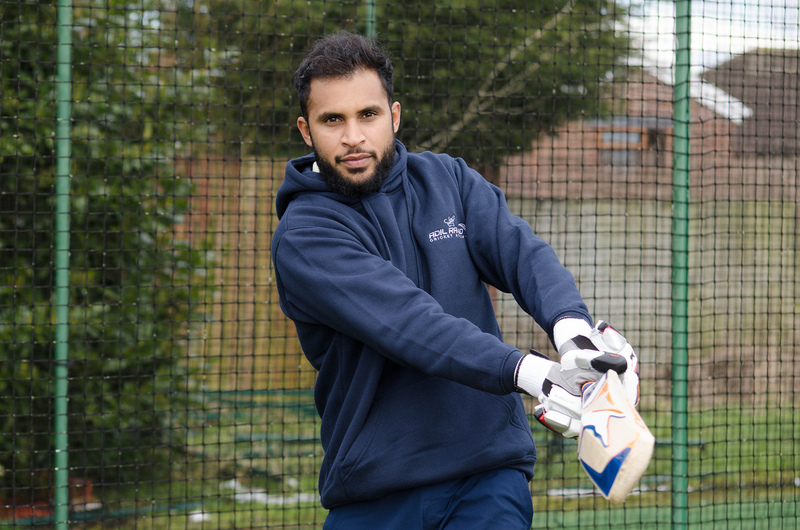 We cannot ensure that you will be satisfied with any products or services that you purchase from a third-party site that links to or from any Adil Rashid Cricket Academy Site or third party content on our sites. We do not endorse any of the merchandise, nor have we taken any steps to confirm the accuracy or reliability of, any of the information contained in such third-party sites or content. We do not make any representations or warranties as to the security of any information (including, without limitation, credit card and other personal information) you might be requested to give any third party, and you hereby irrevocably waive any claim against us with respect to such sites and third party content. We strongly encourage you to make whatever investigation you feel necessary or appropriate before proceeding with any online or offline transaction with any of these third parties. Search and Directory are free services offered by us. Because the Web changes constantly, no search engine technology can possibly have all accessible sites at any given time. Thus, we explicitly disclaim any responsibility for the content or availability of information contained in our search index or directories. 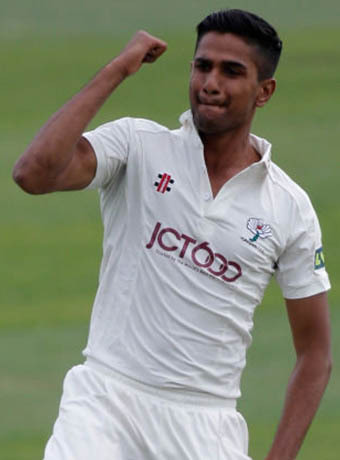 Under no circumstances, including, but not limited to, negligence, shall we be liable for any direct, indirect, incidental, special or consequential damages that result from the use of, or the inability to use, any Adil Rashid Cricket Academy site or materials or functions on any such site, even if we have been advised of the possibility of such damages. applicable law may not allow the limitation or exclusion of liability or incidental or consequential damages, so the above limitation or exclusion may not apply to you. 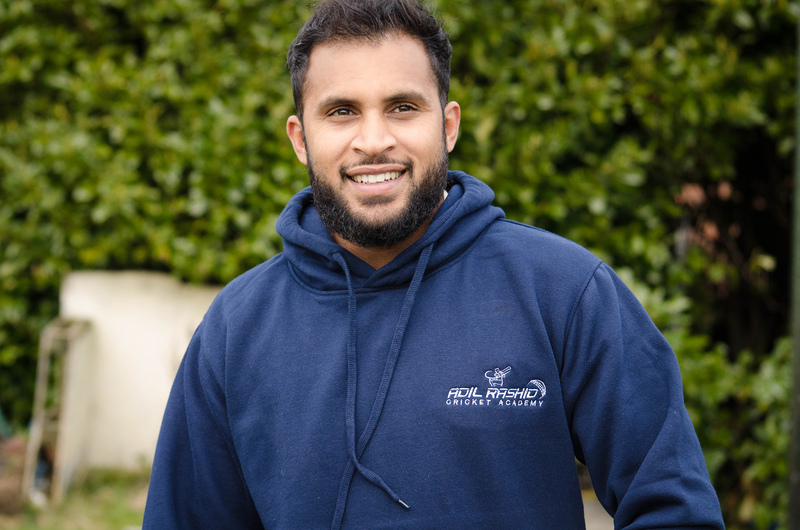 in no event shall our total liability to you for all damages, losses, and causes of action (whether in contract, tort (including, but not limited to, negligence, or otherwise) exceed the amount paid by you, if any, for accessing any Adil Rashid Cricket Academy site. 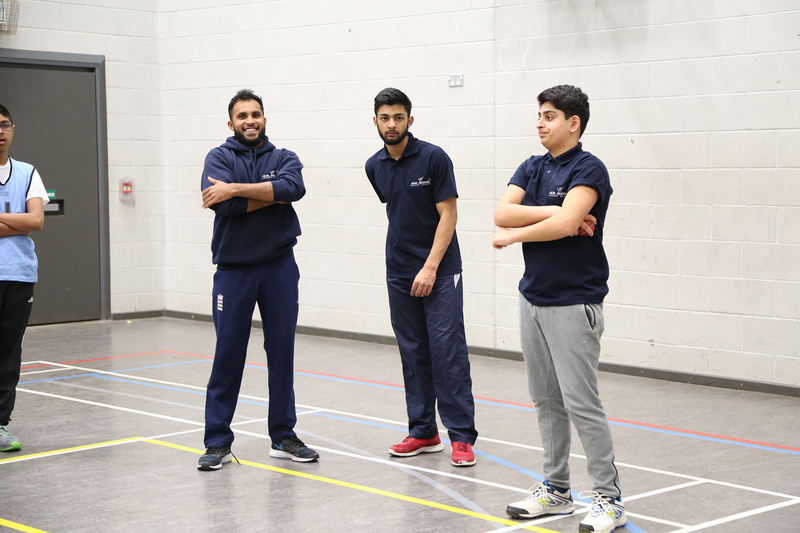 Unless otherwise specified, the materials in any Adil Rashid Cricket Academy Site are presented solely for the purpose of promoting programs, films, and other products. 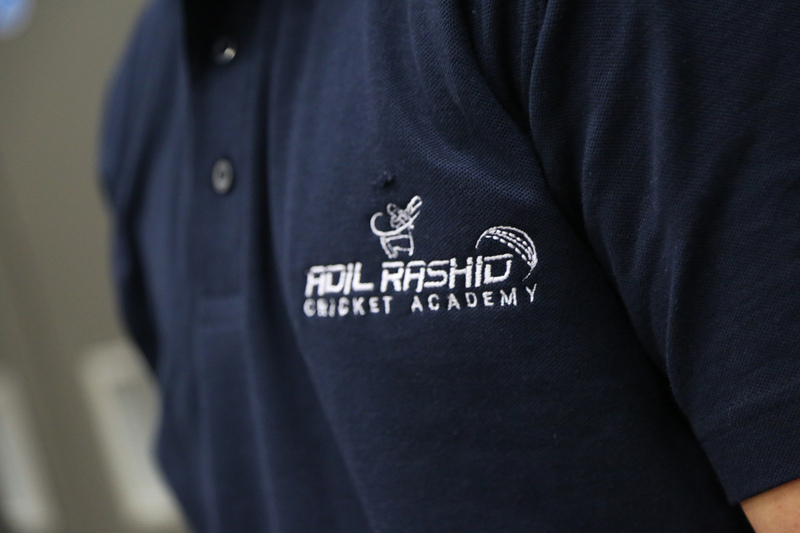 The www.adilrashidacademy.com URL, and related URLs, are controlled and operated by Adil Rashid Cricket Academy and its affiliates. 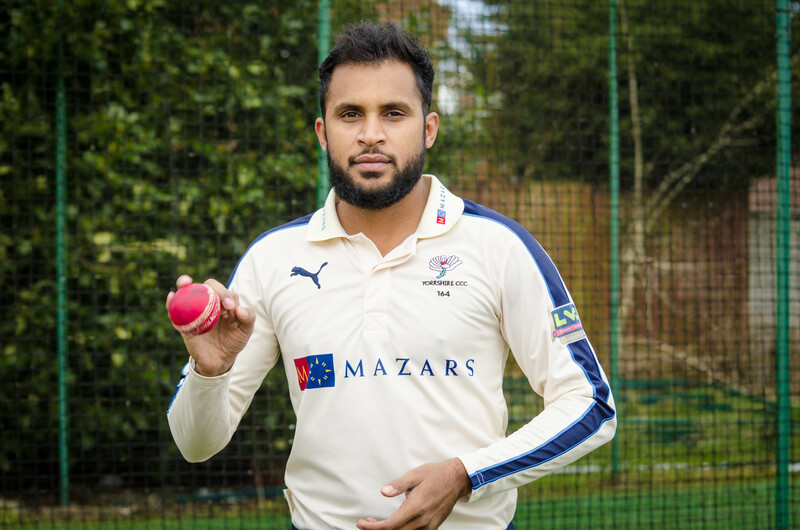 We make no representation that materials on any Adil Rashid Cricket Academy Site are appropriate or available for use in any particular location. 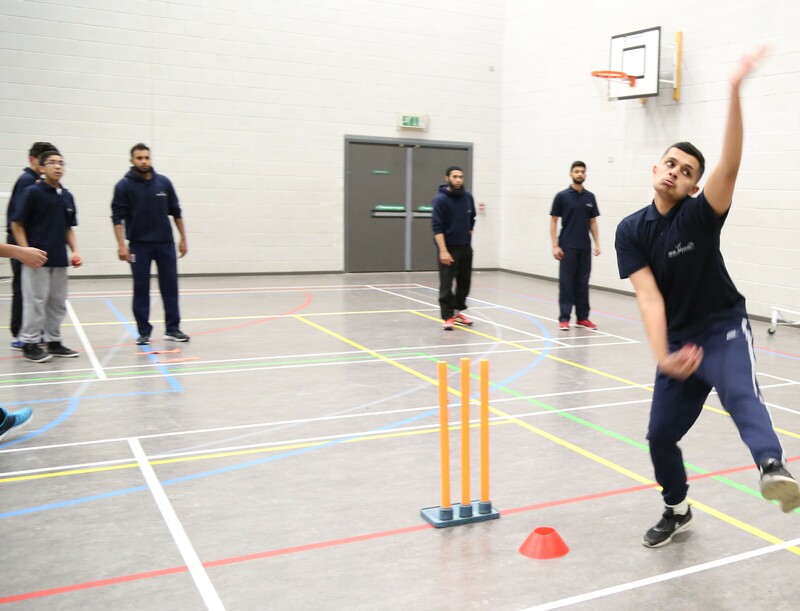 Those who choose to access an Adil Rashid Cricket Academy Site do so on their own initiative and are responsible for compliance with local laws, if and to the extent local laws are applicable. 1.2 The Policy only applies to the Website. 1.3 Use of the Website by you, and clicking the 'Proceed to Checkout' buttons constitutes acceptance of the Policy. 2.1 We acknowledge that your personal data and other information supplied by you to us ("your information") may be confidential. We will maintain the confidentiality of and protect your information in accordance with this policy and to the extent required by English law (including the Data Protection Act 1998). 3.1 The Company’s collects and processes your personal data in order to provide you products and services that may be of interest to you. - when we request further information from you from time to time. 3.4 We recognise that this data may comprise personal data and/or sensitive personal data ("Personal Data"), to which UK data protection laws may apply. This Policy describes how we fulfil our obligations under those data protection laws. 5.1 Other than as set out in paragraph 4 above, we will not disclose your Personal Data to any third party without your consent, unless we are required to do so by any applicable law or regulators (in the UK or elsewhere). 8.1 Any third party to whom we provide access to your Personal Data shall be required to process your Personal Data in accordance with English law (including the Data Protection Act 1998). 9.1 We reserve the right to change the Policy at any time. If we do so we will place an updated version on the Website you should ensure that you review the Policy on a regular basis. 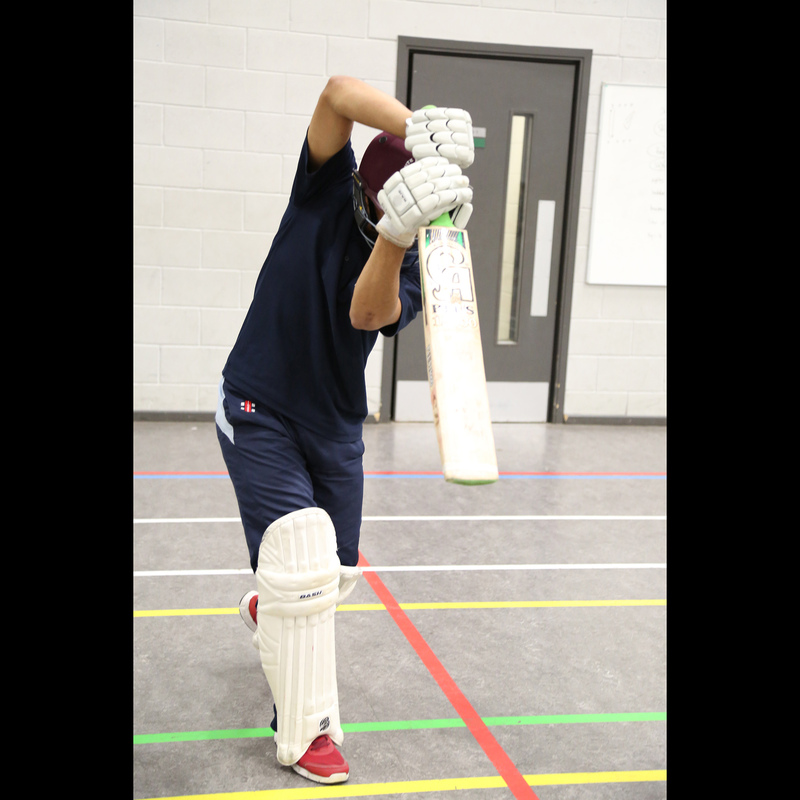 Cricketers should bring all of their own cricket equipment to the Courses, we will have some spare equipment at some of the courses. 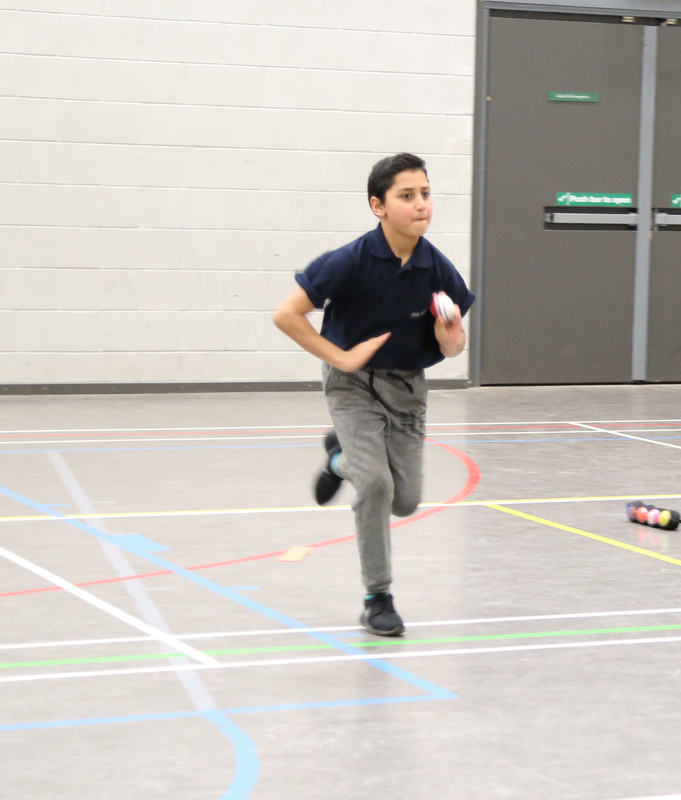 All young cricketers should arrive at least 10 minutes prior to the specified start time, We also recommend that everyone brings Food, a snack for break and lots to drink. 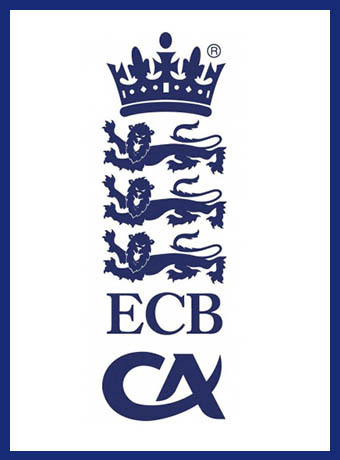 Please ensure that cricketers are collected on time and if for any reason there is a delay please let us know as soon as possible. It is essential that all incident report forms are signed by parents so that they are immediately and fully aware of anything that may have occurred to their child that day. 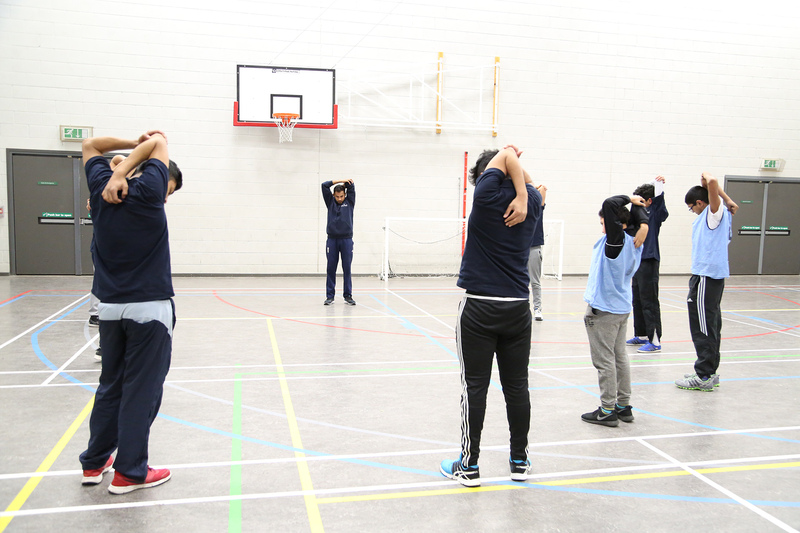 If a child feels that they are being bullied then they are encouraged to report this to their Group Coach, If we are convinced that bullying has taken place then we will decide what action is appropriate. 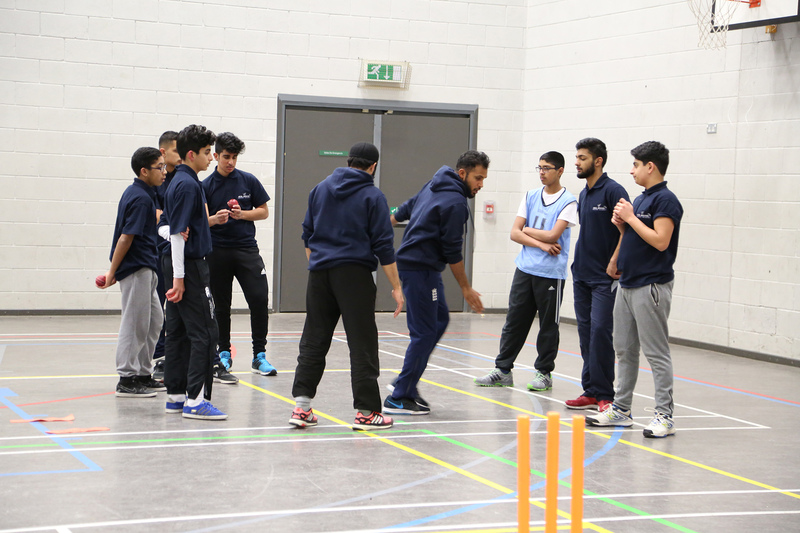 All of the venues used by The Adil Rashid Cricket Academy have been safety checked. 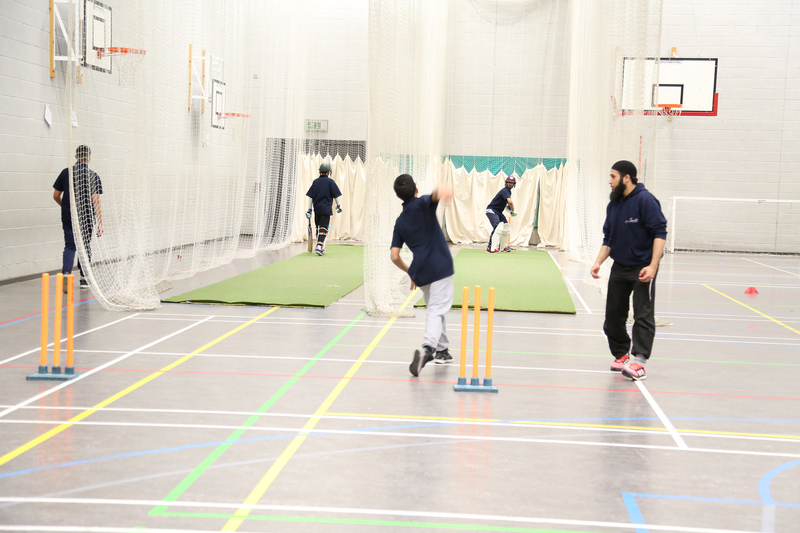 Our venues provide the perfect environment for children to develop their cricket skills and enjoy our courses. We are not responsible for any loss of property, Making sure nothing valuable is bought with them to the sessions.